BANDUNG, KOMPAS.com - Acquisition of land for joint development projects in the city Cicaheum toll-Pasteur is expected to finish this year. West Java Governor Ahmad Heryawan, Tuesday (26/1/2010) in Bandung, said it had allocated a budget of up to Rp 1.1 trillion for the success of this development project. It will form a new public enterprises as a development project manager. "For now, we used to equate work with PT Jasa Sarana, but to the future we will create new enterprises. I hope the highway construction land acquisition can be completed this year," said Heryawan. Infrastructure improvements, he added, became one of the main priorities to boost economic growth in 2010 was Jabar. So far, infrastructure especially roads in West Java became the main obstacle. He explained, this year the focus of development financing done to improve the quality of infrastructure, especially roads. 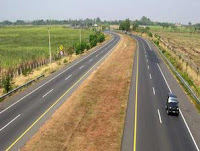 With the existing budget allocations, expected condition of the road in West Java steady 93 percent (moderate or good category). Until now, the road has reached 87 percent solid. For the next year, the administration still running focus budget allocations, which will be allocated in order to encourage a number of sectors that directly touch the needs of the community. Value of these focused budget allocation reached Rp 500 billion. "Especially for this year, the focus budget of Rp 500 billion allocated for the repair and improvement of infrastructure quality, while still allocated to education by 20 percent of the budget," he explained.